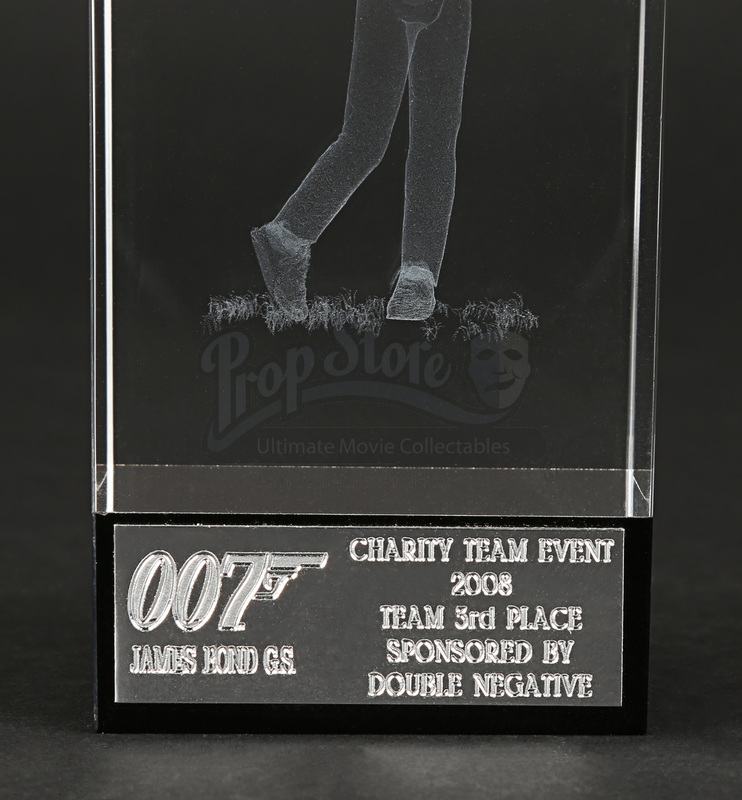 A third place award trophy from a charity golf day held in conjunction with the release of Marc Forster’s 2008 James Bond film, Quantum of Solace. 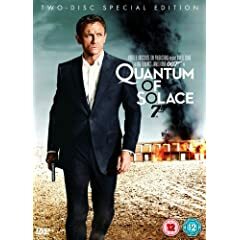 Bond (Daniel Craig) starts investigating the mysterious Dominic Greene (Mathius Amalric) as he works to eliminate a country’s most valuable resource for financial gain. 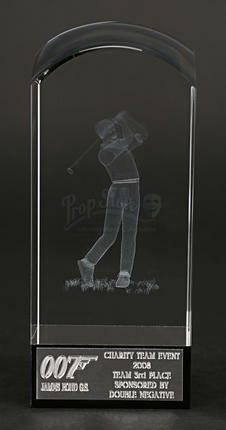 This glass trophy was presented to the third-placed team on the charity golf day. 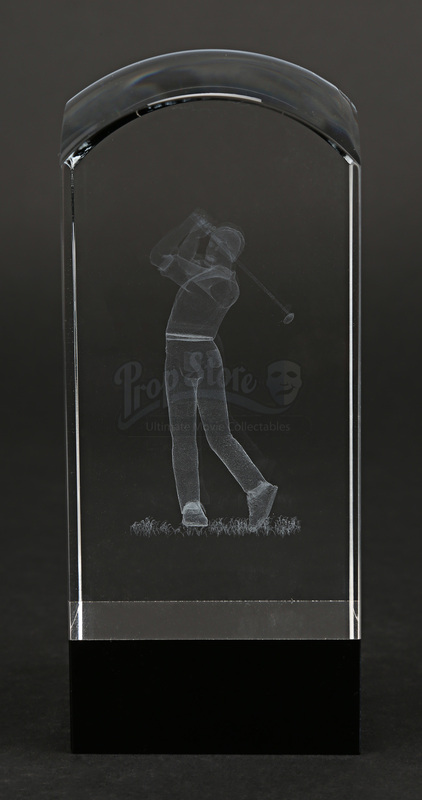 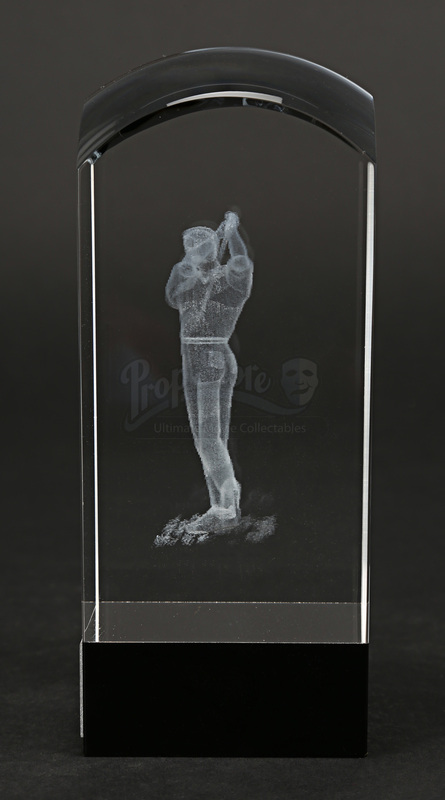 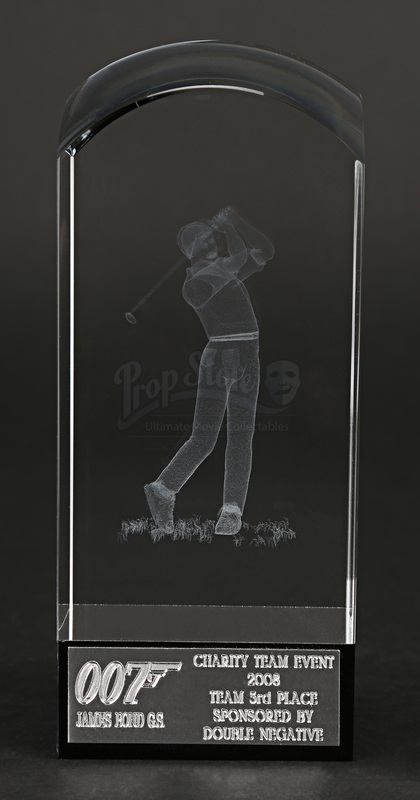 It features a laser etched image of a golfer at the end of their swing and the iconic ‘007’ logo on the plaque. 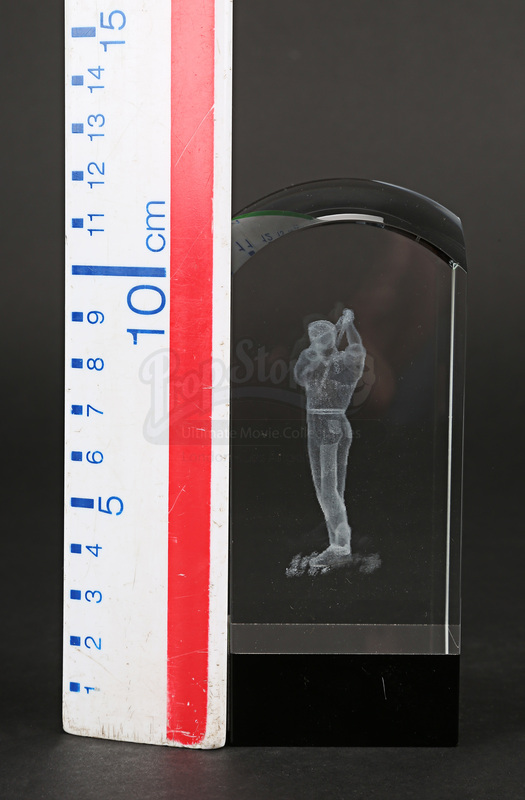 It features some wear from age and storage, including some minor scuffing, but remains in an otherwise excellent condition.